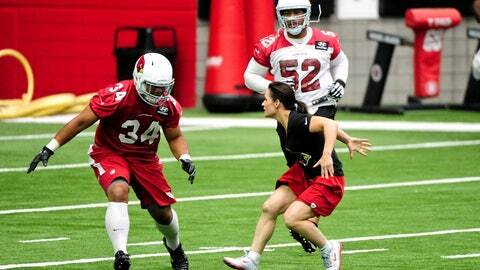 Cardinals coaching intern Jen Welter works with running back Paul Lasike (34) and linebacker LaMarr Woodley (52) during training camp at University of Phoenix Stadium. 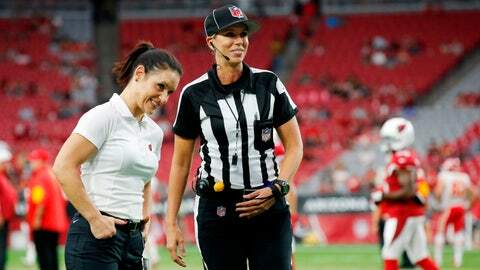 GLENDALE, Ariz. — Jen Welter’s groundbreaking days as an interim NFL coach are nearing an end. "It’s been fantastic," she said. "This is such a good group of guys who I think really embraced what could have been a challenging situation, and they just ran with it. I mean these players and these coaches have just been fantastic for me. It’s been like a dream come true." "We showed little girls that even in the final frontier of sports that anything is possible," she said. "That is breathtaking to me. It’s something that I never thought was possible." "I heard one player say it best: `I knew Bruce and the kind of guy he was and he wasn’t going to bring anybody here who didn’t belong.’ "
"But it’s good to have that on your staff," he said. "It came from the heart," she said. "To me it’s something I would have wanted as a player. It never occurred to me that other people weren’t doing it, and yet the feedback from all the guys was really fantastic. They were like `Coach, we never had anybody do that before." The shirt Jen Welter wore from the Cardinals-Chiefs game on Aug. 15 is on display at the Pro Football Hall of Fame. "She’s a great lady," he said. "She’s helped a lot and she’s a stickler about fundamentals and what not. She knows a lot about making you better as a person, too, with the notes she left on your locker, the words of encouragement from what she sees on film. She was like a real good person to feed off of." Known as Dr. Jen back in Texas, Welter has a PhD in psychology. She talks about putting on a helmet as a small child and asking her cousins to tackle her. She played in women’s professional football, and for one season played on a men’s team, the Texas Revolution of the Indoor Football League. Becky Hammond is an assistant coach with the NBA’s San Antonio Spurs, and the Sacramento Kings have hired Nancy Lieberman as an assistant. "I am waiting to see what will happen next and I’m really excited," she said. "I consider this a complete win. The biggest question coming in was would guys in the NFL respond to a woman coaching them, and the obvious answer is yes." "Everybody kind of kept waiting for the other shoe to drop," Welter said. "Like, `Oh my gosh, what’s going to happen? What’s going to go horribly wrong?’ And it really never did. All the players were really respectful. Some came from the jump to really open their arms and welcome me. I think it took others a little bit longer, but really overall it was fantastic." Her internship lasts through next Thursday’s final preseason game at Denver. 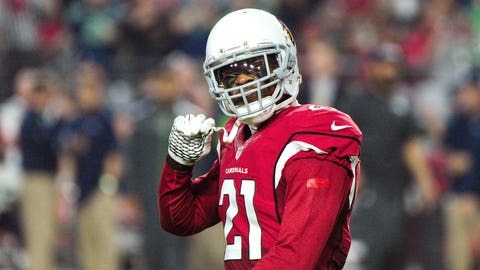 "I would love to entertain other teams, an opportunity to stay obviously in the game because it’s been a part of me for so long, and that’s really exciting to see," Welter said. "I couldn’t be more thrilled as to where I am right now because it really did show something to the world."